5339 Lewis Road Bemus Point, NY. 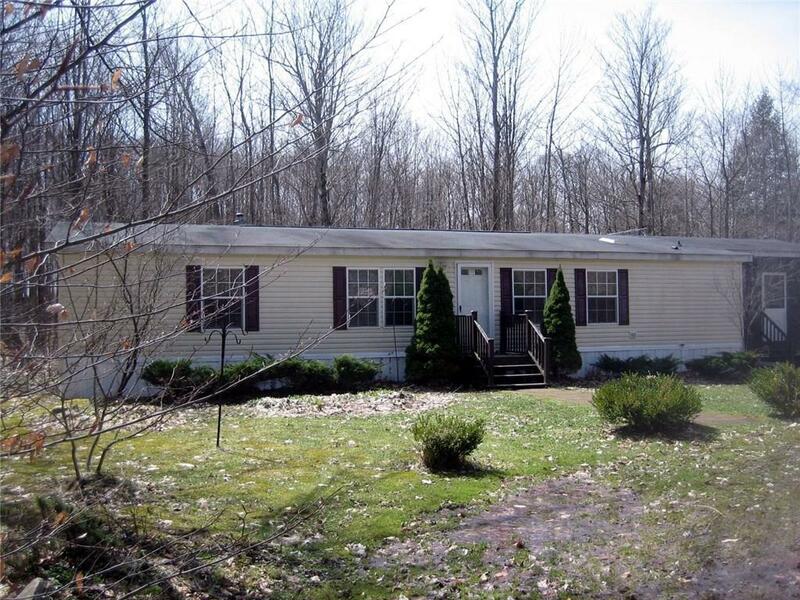 | MLS# R1185496 | Chautauqua Lake Real Estate. Specializing Chautauqua Lake helping Buyers and Sellers since 1985. A very friendly home! 5. 4 acres, in sylvan countryside, woodland views. Winding drive. vaulted ceilings, recessed lighting,3 bedrooms. 2 baths, a convenient main-level laundry, propane gas heat. Low-chore yardscape, large trees. ALSO handsome plantings *quiet, tree-arched road *easy commute *easy-out sliding glass doors *heat-saving thermal glass *a screened porch for summer living *ceiling fans *carpeting *a convenient dine-in kitchen *well water. Immediately available. Directions To Property: Head North On Rte 430 Just Before Chedwell Ave Turn Right Onto Lewis Rd Second Home On The Right.